HS340-V Vertical Oversized Badge Holder. 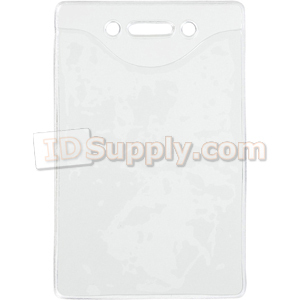 Oversized clear vinyl badge holder with slot and chain holes. Max Insert: 3" x 4"
Outside Dim: 3-2/8" x 4-3/4"